After my last posting I drove 234 miles from Colorado National Monument in Grand Junction the Four Corners area. First on my list of destinations was Hovenweep National Monument, Utah. Think of it as the the close cousin to Mesa Verde National Park. Hovenweep (meaning deserted valley) was originally inhabited by paleo-Indians approximately 13,000 years ago. As hunter gatherers they took seasonal shelter beneath canyon overhangs. Initially nomadic they began to cultivate corn, beans and squash and social structures that led them to stay in the area year around starting in about 900 A.D. Their stay lasted about 400 years before moving south to the Rio Grande Valley in New Mexico and the Little Colorado River Basin in Arizona. Today's Pueblo, Zuni and Hopi people are descendants of this culture. By 1200 A.D approximately 2,500 people lived here. The monument resides in an even larger area known as the Canyons of the Ancients. Remnants of three preserved Ancestral Puebloan villages are scattered throughout the 275 square mile monuments. They plus the the ruins at Hovenweep Visitor Center area are the primary cultural attractions. I especially enjoyed the nine structures located along the two-mile Little Ruin Trail. The setting was tranquil and transcendent. I saw no more than four other people during the entire visit. One could readily imaging being alive in the canyon 750 years ago and seeing residents gardening in the small farm plots, children playing on the mesa, and families gathered in the ceremonial rooms or kivas. This was village life at its most basic. After a short drive I was totally alone during a one-mile hike to Painted Hand Pueblo in the adjacent Canyon of the Ancients. There was but a single structure isolated on the canyon wall overlooking the Great Sage Plain to the south. I could imagine these pueblo occupants trying to survive apart from the larger nearby settlements. The Hovenweep Monument has a 30-site campground without power or water hook-ups. Most visitors stay in campgrounds in nearby Cortez, Monticello, or Montezuma Creek since they are all within a short driving distance of Mesa Verde, Four Corners, and the Anasazi Heritage Center. These sites are all great introductions to Mesa Verde National Park, next on my RV adventure. I left my summer 2015 campground host job at Dinosaur National Monument on September 16th and continued my adventure to New Mexico with a planned layover in Grand Junction, CO. Both sad and glad to be moving on, I had enjoyed the daily beauty of rising to view the awesome Gates of Lodore in three seasons of changing light and weather. 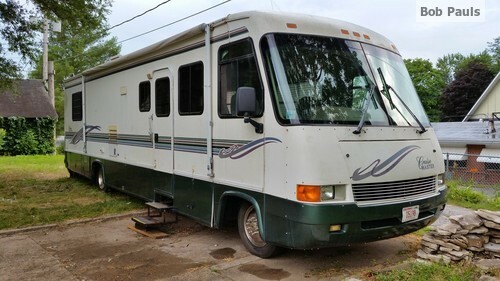 My travel plans included driving to the Grand Junction, CO to have about a thousand dollars of safety improvements made on my 1997 Georgie Boy motorhome. 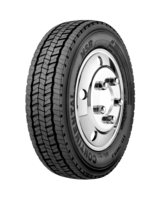 I had initially planned on getting the two front steer tires replaced along with an alignment to prevent the premature wear on the new tires. I knew that the previous owner had neglected several preventative maintenance duties including caring for the suspension. I had already replaced the front suspension spring air bags that dampen the harsh ride of this large motorhome. The addition of four rooftop four panels and four heavy batteries plus other improvements to the vehicle had added even more weight to the vehicle. Total cost: $3,379.13 + six lost travel days waiting for parts and installation. Ouch! Well, actually its not six frustrating days of waiting. Three of the seven ordered parts were the wrong part numbers. Aaaargh. They have to go back and renew a search for expensive, after market replacements. What's a person to do in this situation? I put on the RV what would work and made a Plan B that stretches out the repair process about a month. I'll have to wait for my next big destination city (Las Cruces, NM) to finish the repairs and hope everything stays together until then. Thankfully, these are mostly once in a motorhome lifetime expenditures. My travels will be smoother, safer and a bit more predictable. Until then what are the RV lessons I've relearned? You seldom know what you don't know. Don't trust that the repair shop knows what there doing, especially on an older vehicle. Whatever, pick yourself up and get back on the road again. On my last day of waiting for repairs I spent the afternoon touring Colorado National Monument that sits directly above and south of the city of Grand Junction. The monument is blessed with dramatic canyon views seen from a large flat top mesa that has lots of lakes, hiking trails, a campground, and roadside observation pull-outs. Definitely worth a drive through unless you're in a large RV or are afraid of heights. The historic, vertigo inducing, Rimrock Drive has three tunnels with low clearance heights so only smaller vehicles can navigate the winding, edge of the cliff road. There are shear drops adjacent to several road sections so driving from the west or east may make a difference for you or your passengers. What's next on my travel plans? Cortez, Colorado and Hovenweep National Monument, Canyon of the Ancients, and then onto Mesa Verde National Park. It seems like every generation of high school students adopts some sort of Senior Skip Day. It's usually a day near to the graduation date when all the seniors skip classes en masse and head out to some major recreational venue such as an amusement park, a baseball game season opener, campground, etc. Traditions vary on the implementation. Some events are supposed to be a secret like the kegger at a secret rendezvous in the woods or on a farm, whereas some schools allow the student government to coordinate the happenings, thus effectively granting a school sanction to something that is supposed to have a hint of scandal. High school seniors eventually turn into senior citizens. That doesn't mean that Senior Skip Day traditions shouldn't end nor should senior citizen appreciation of the great outdoors. The Humana Corporation and more than a dozen other national sponsors such as Subaru, Disney, REI, American Express, and even Budweiser concur. They want you to skip what you are doing and get outside, preferably into any of more than 400 national parks and monuments administered by the National Park Service. Why? Because there is widespread Nature Deficit Disorder throughout the culture, especially in children. 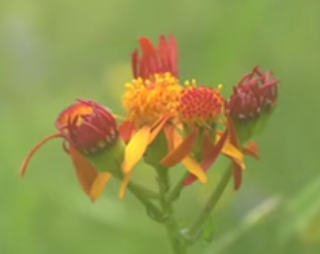 Even seniors suffer from Nature Deficit Disorder. On the Retro Thursday of October 8th, 2015 seniors citizens can get free access to any US national park. Wouldn't that date be a great excuse to take some kids on an outdoor adventure? How about your kids, the grand children, the neighbor kids, or other special youth populations? Hey, better idea! Take both a child AND a senior citizen that might normally be confined to a nursing home or assisted living center. What a great intergenerational experience that could become for everyone! To skip out and take advantage of the free day in nature use the Find Your Park website to locate a place to have your own adventure. Can't find a participating national park nearby? Consider using the Americas State Parks site to locate a state park to visit. Whatever you do get in your RV or car go where you can appreciate nature and rediscover the awe of nature. Do You Own A FEMA Trailer? It was ten years ago that Hurricane Katrina came ashore at New Orleans. "Heck of a job, Brownie" (Michael DeWayne Brown) was given operational control of search and rescue and recovery efforts under the Bush administration . He was widely criticized for incompetent handling of the aftermath of Hurricane Katrina by state, local and federal officials. Despite President Obama not even being in office during Katrina 29% of Louisiana Republicans blame President Obama for the poor response to Katrina. Only 28% blamed President George Bush. A 2007 Government Accountability Office report noted that FEMA operated "like a volunteer fire department" with a workforce that was mostly "composed of non-permanent employees with various terms." What blame is being placed? Well, one of the most notable failures of the government's response in Katrina was the purchase and deployment of the now notorious FEMA Trailers. Many were very small living units but conceivably better than living in a tent or out in the open. The problem is that most of the units had excessive levels of toxic formaldehyde off-gassing into the occupant's lungs - levels 5 to 40 times the maximum recommended exposure level for humans. Formaldehyde exposure can lead to a variety of health problems, especially for children and older adults: headaches, nosebleeds, difficulty breathing, menstrual disorders, emphysema, and lung and nasopharyngeal cancer. Resellers are still selling used FEMA trailers to unsuspecting buyers looking for a good deal on used recreational vehicles. Do a Google search to see any of of over 100,000 links to used FEMA Trailers. 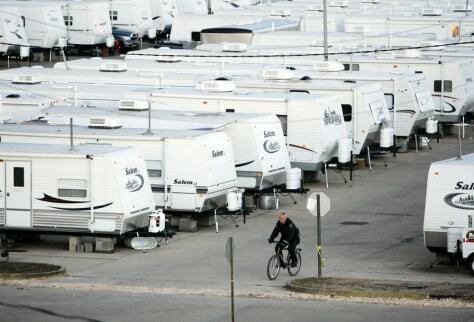 There were nearly 140,000 FEMA trailers originally resold or donated by the federal government. Do you possibly own a FEMA trailer or interested in buying a trailer that might be one? Find out at this site. To report people illegally selling or renting FEMA trailers, you can call the inspector general of the General Services Administration at (800) 424-5210. You can also call your local government building code inspector. The EPA's Toxic Substance Control Act has an assistance line at (202) 554-1404. In my travels this summer I've seen very few bumblebees, but I have seen numerous other species of flying pollinators, especially at higher elevations. But having been a beekeeper, I know that timing is everything in the pollination cycle. I know that the warm high desert has fewer feeding resources for them, but have wondered what climate change is doing to the more than 30,000 varieties of bees during this extended drought conditions. What are the impacts of lower snow cover moisture and earlier blooming? My present location in NW Colorado has received only 0.92 inches of rain in the last two months. More importantly Northern hemisphere snow levels in the 2015 drought are at record low levels. Such is part of the reason for so many wildfires in the West this year.